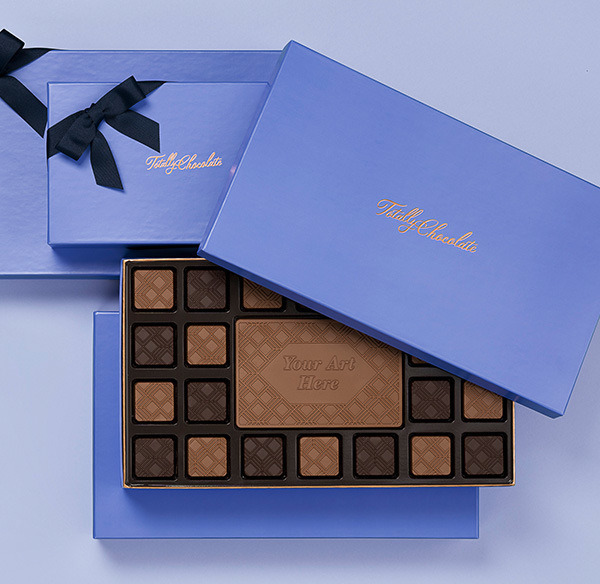 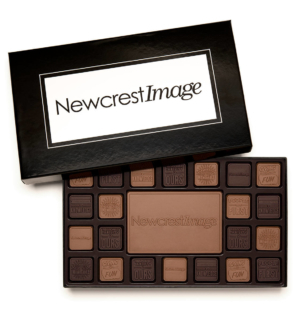 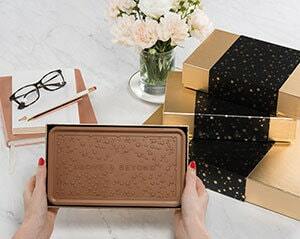 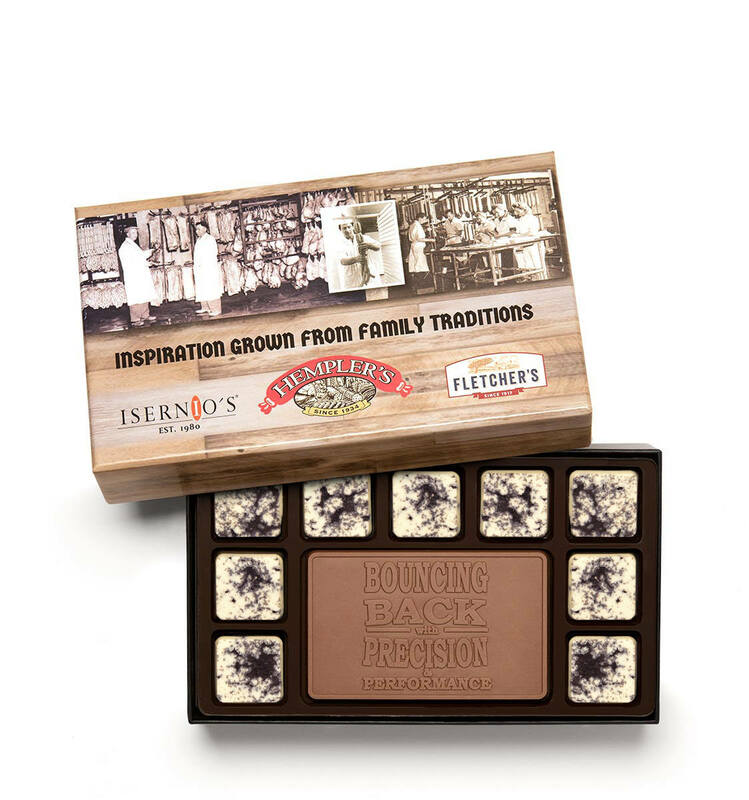 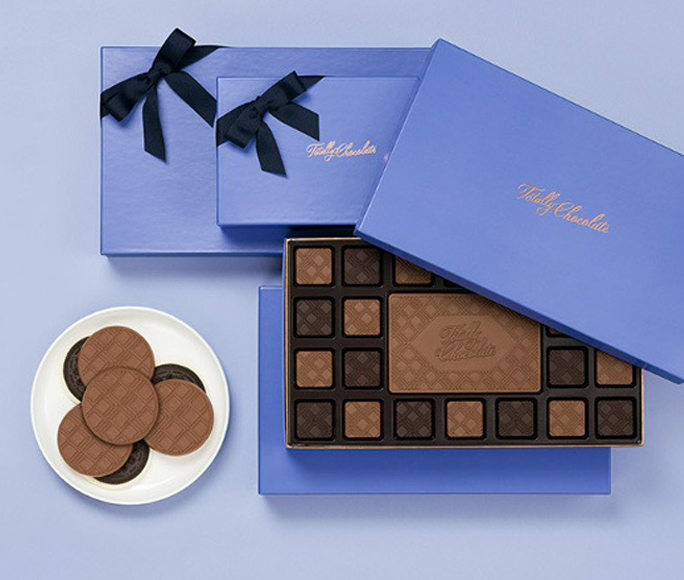 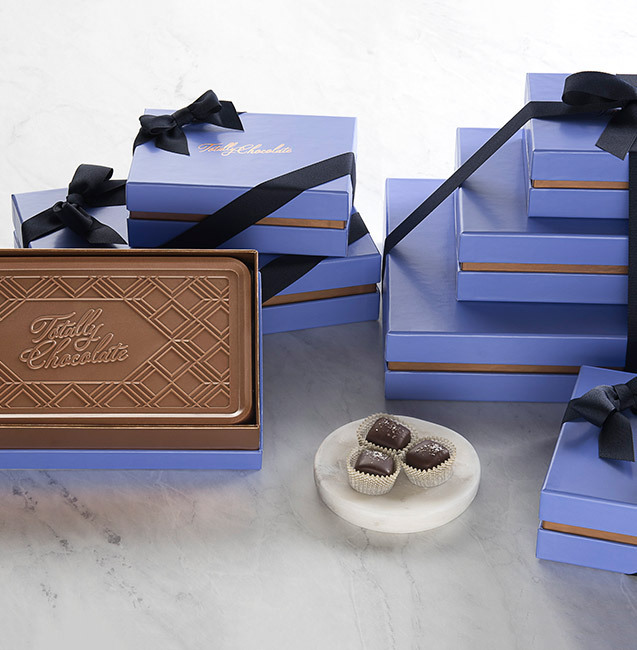 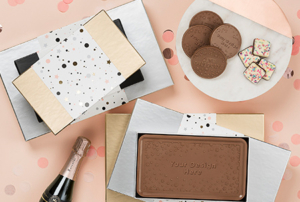 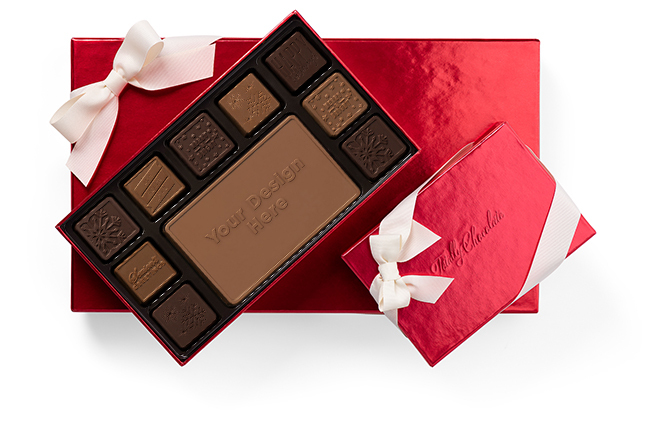 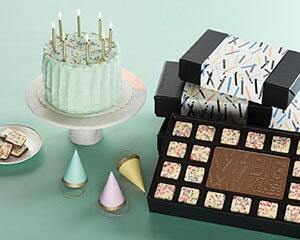 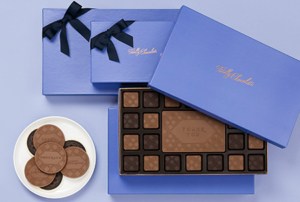 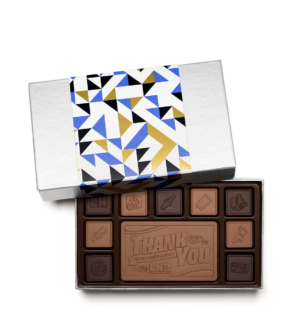 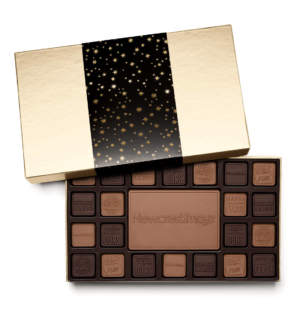 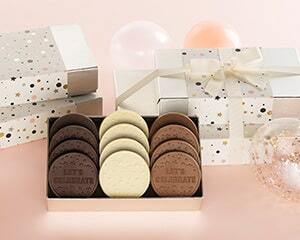 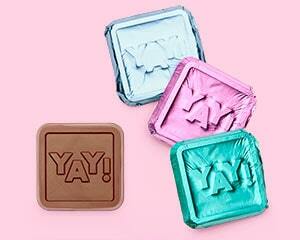 Chocolate lovers will give three cheers for this gift box! 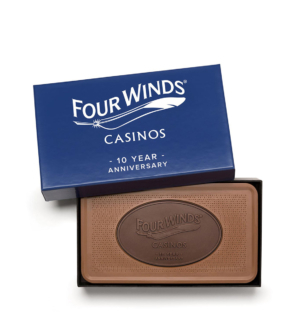 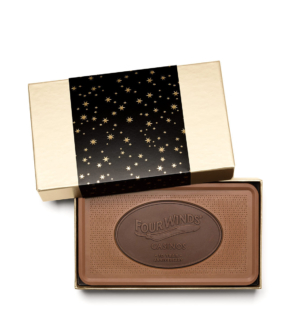 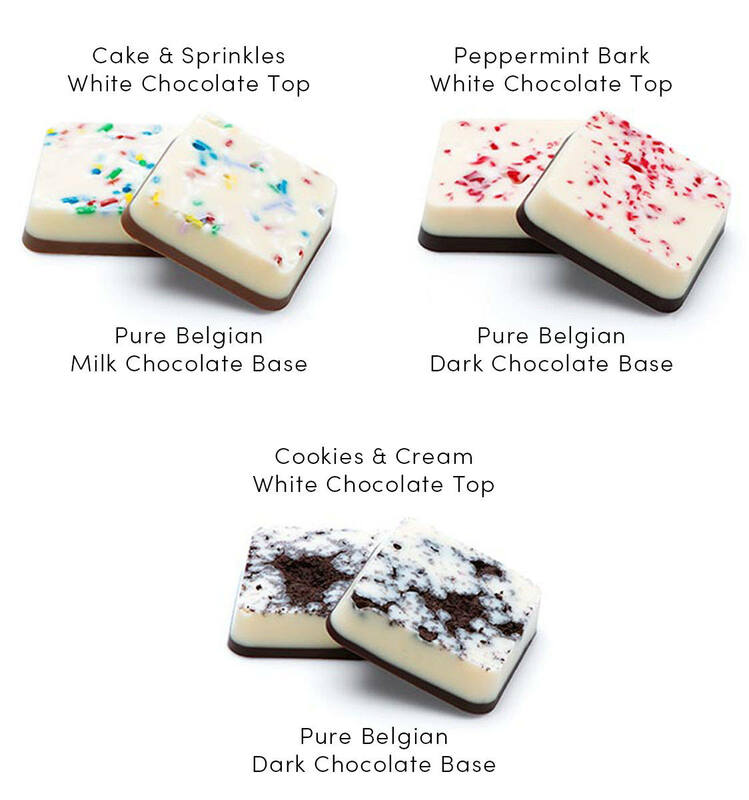 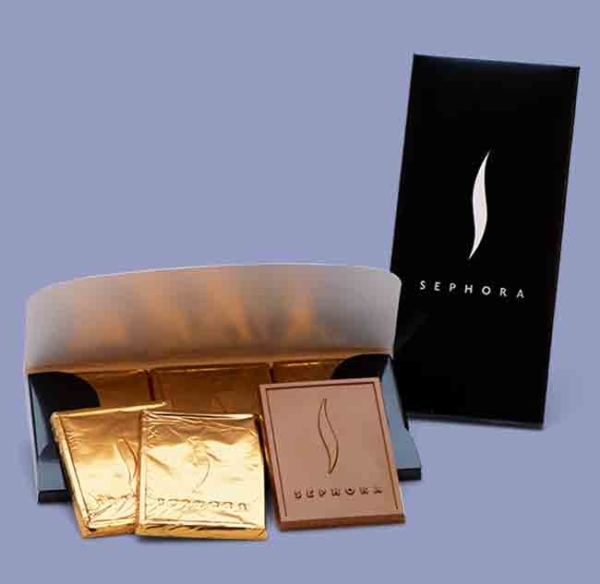 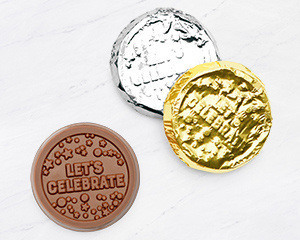 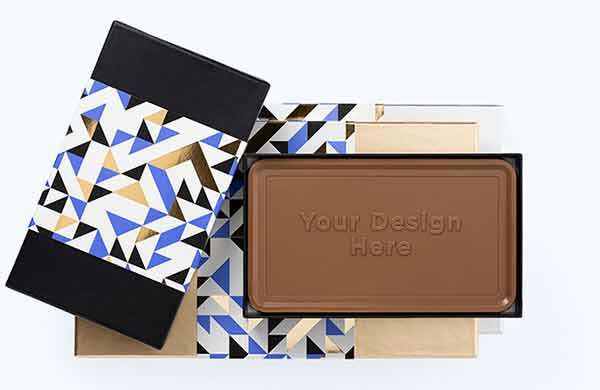 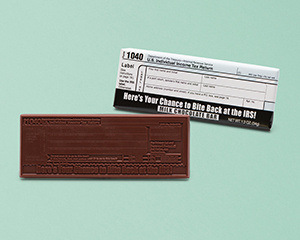 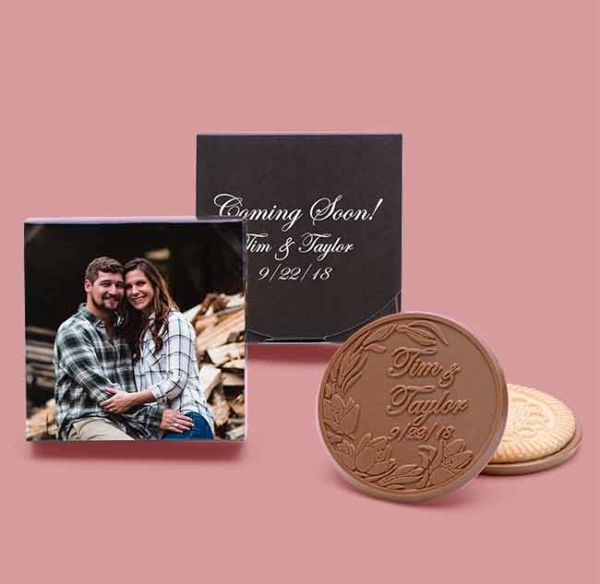 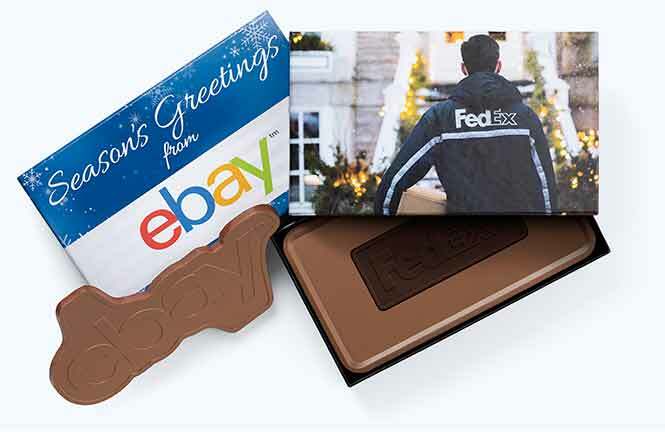 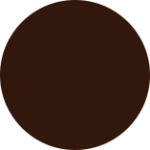 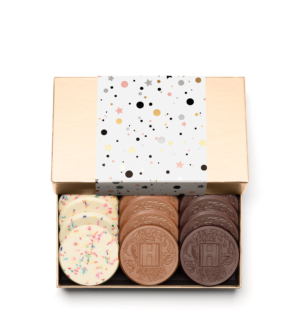 Your own 3″ x 5″ custom engraved Belgian milk or dark chocolate center bar is surrounded by thick outer squares in one layer in your choice of: peppermint bark, cookies & cream, or cake & sprinkles. 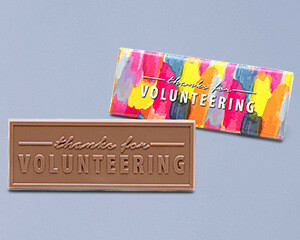 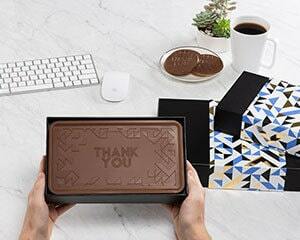 Great for office Thank You gifts, client appreciation, corporate events or meetings. 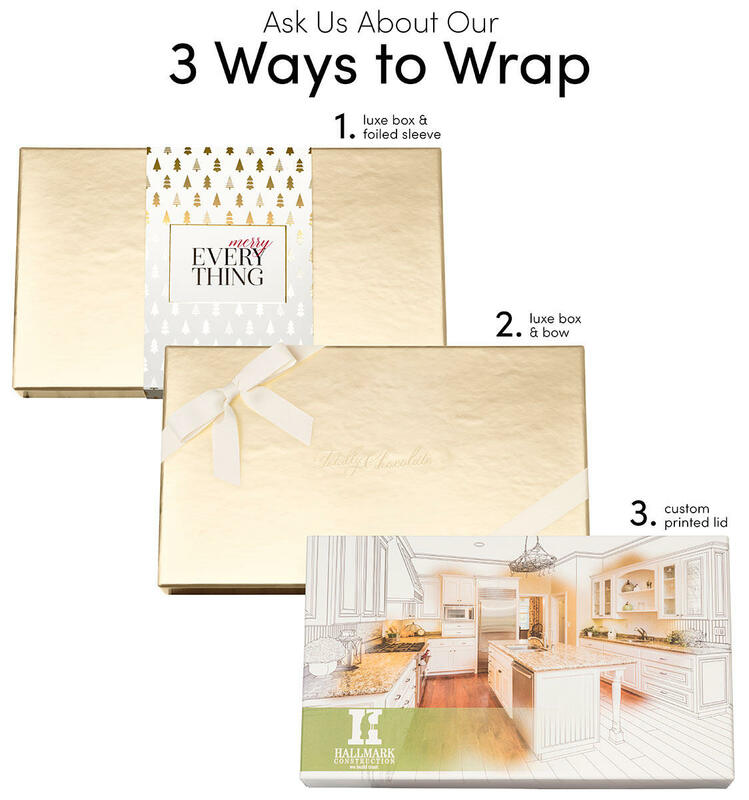 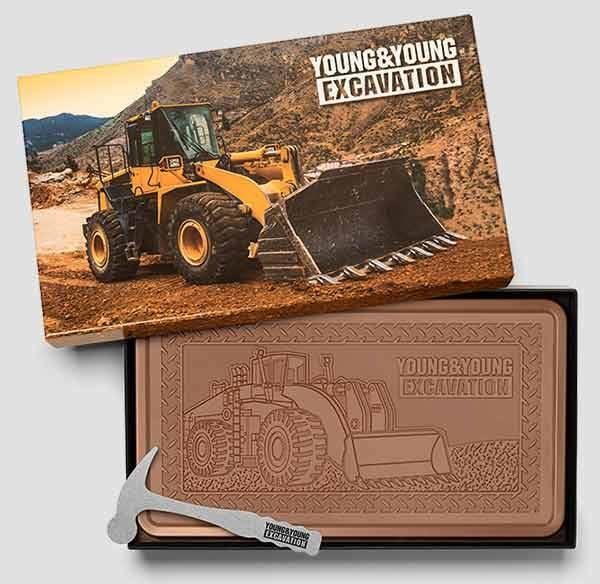 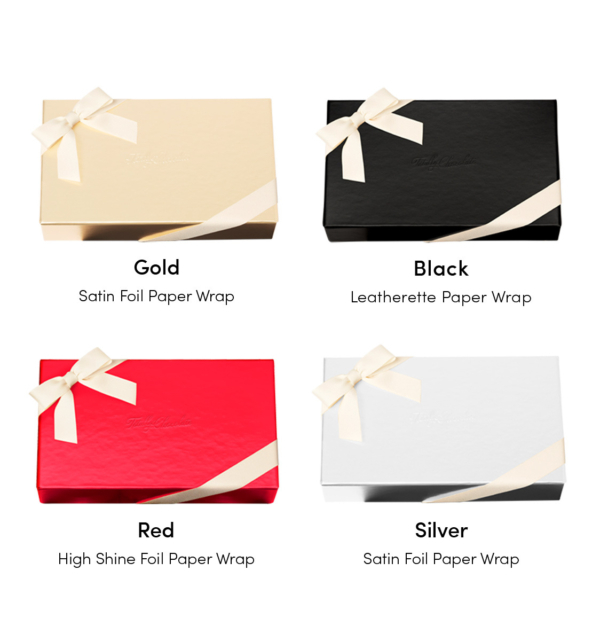 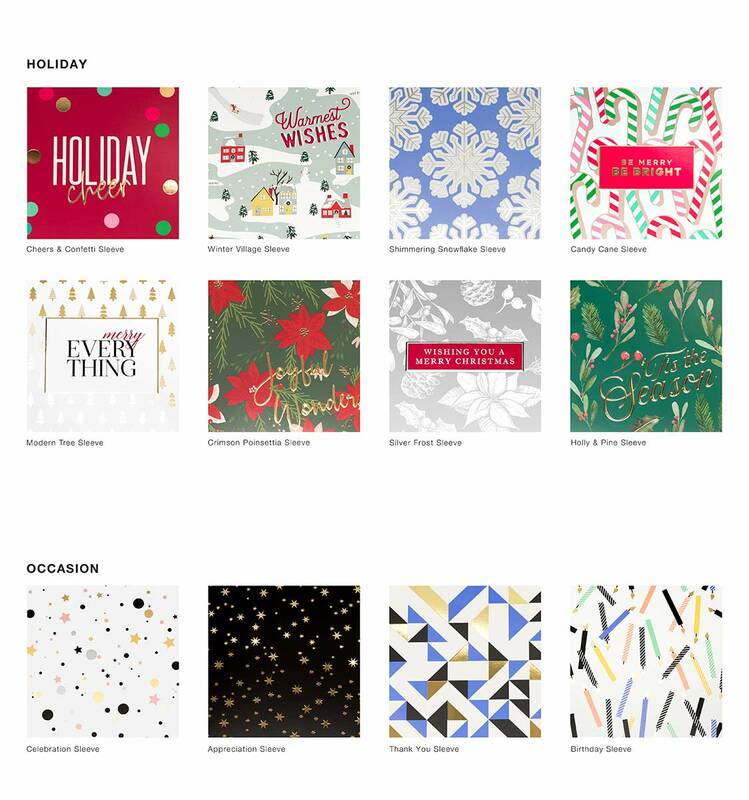 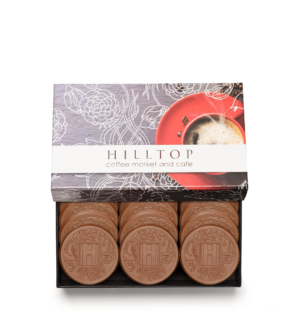 Wrap in one of our beautiful gift box lids with a hot stamped decorative sleeve or cream ribbon, or design your own fully custom printed lid (note: red and gold lid custom printed lid “American Lumber” shown in image is not metallic hot stamp or foiling; it is printed only).